The flexible workspace sector is home to all types of different work spaces and combinations of places to conduct business. Those who are “in the know” about office situations understand the subtle differences between a coworking space and a serviced office in a Business Centre. The differences between coworking “Hot Desk” and Business Centre office solutions are an often-debated topic between those who are using coworking facilities to run their businesses, and those businesses who have chosen to use the facilities and services of a professional Business Centre. So, let’s look at the similarities and the differences. Many will tell you that cost is the biggest difference, but, some coworking places will cost you upwards £300 per month or more dependent on how often you use the space. Yet sharing an office space with another company at a Business Centre can cost the same or less. More importantly, a Business Centre can give you 24-hour access 365 days a year. There are few coworking centres that can offer that. Those who rave about coworking spaces will probably sound like a broken record when they try to tell you that “it’s not just a Hot Desk” and claim that they offer more of an entrepreneurial vibe, a sense of community, a sharing of knowledge, a chance to learn from those around you. But the same can be said when sharing an office environment in a professional Business Centre. Business Centres simply have more choices regarding office solutions. When the time comes to take your own private office space, the community of other businesses remains the same along with your address and telephone number. You will still see many of the same people in the tea room and maybe some new faces too but nothing else changes other than the size of your office as you grow your company within a business environment. What about the professionalism? It is true that coworking centres can offer a great place to work and allow for more collaborations and interactions, but what do your customers think of this type of “coffee-shop-like” place you are working from? At a Business Centre, you might start by sharing an office, but your clients and customers do not need to know that. When your clients presents themselves at the reception area at the Business Centre, you are informed of their arrival and can take them to the meeting room you booked without them seeing the actual office space that you work in if you share it with another company. Your business location is also important to your clients. But what if it is in a non-descript location that is not known for being a place of business? Coworking centres can be great, but they often do not have prestigious and professional business addresses. Some coworking spaces offer a great place to work, but they are not set up to be a place to receive your business mail or courier deliveries. An office in a Business Centre not only gives you a prime business address which you can use on all your marketing material but has a reception to meet and greet your clients and to take your calls along with handling your mail and courier packages even when you are not physically present. As your business develops, it makes sense to review your location periodically. 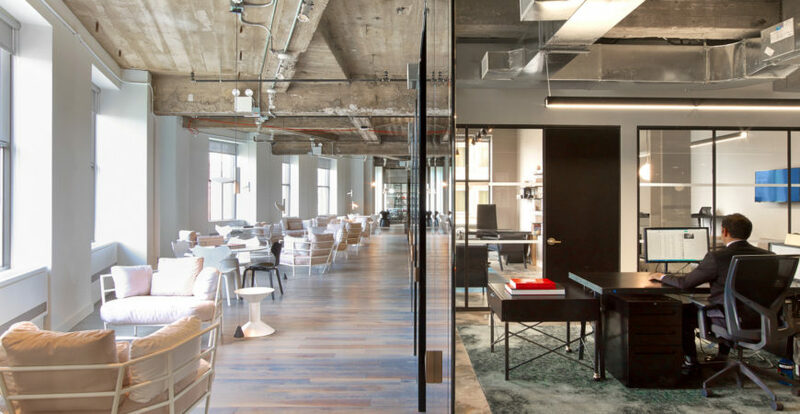 Your style of working and size of operation may be better suited to a larger private office. These are not normally offered by a coworking space. If you are working in a coworking centre that also offers private offices, that is great. But what if they do not? Moving to your own space is not only costly but can cause confusion to your customers in terms of your business address. In a Business Centre you have the option to move into another space without having to change your business address or telephone number. On-site parking available free or nearby at a small fee for your visitors. A professional receptionist to meet and greet your guests and direct them to your meeting. High speed Wi-Fi for quick, uninterrupted internet usage. VOIP Telephone system and postal services. Meeting facilities in the form of bookable meeting rooms. Access to a kitchen, with filtered water, tea and coffee-making equipment and a fridge and microwave oven. Modern, well maintained bathroom amenities that reflect the standard of your business environment. Besides available amenities at your coworking or Business Centre, you might also want to learn what other services are available to you as a member or client. Often, when a business is considering where they want to work, they forget about some of the services that they may need done on an a-la-carte basis. An office in a professional Business Centre will often offer things like secretarial services on demand, network printing, colour photocopiers, binding services, mail forwarding, franking, live professional receptionist answering your business calls, video conferencing, VoIP telephones that allow you to receive and make calls when you are not in your office ensuring you never miss a call, as well as other concierge-style services that are not offered by stand-alone coworking centres. At the High Street Business Centre here in Beckenham we can offer you all of the above if you wish to find out more please call us on 0208 249 6000 or pop in at our offices on Beckenham High Street.